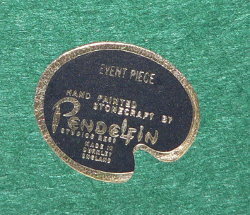 1998 PenDelfin Family Circle event piece called Rockafella. 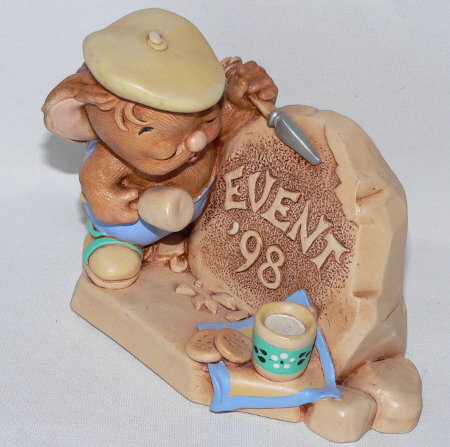 This PenDelfin event piece was designed by Jean Walmsley Heap and was only available at the 1998 PenDelfin events. 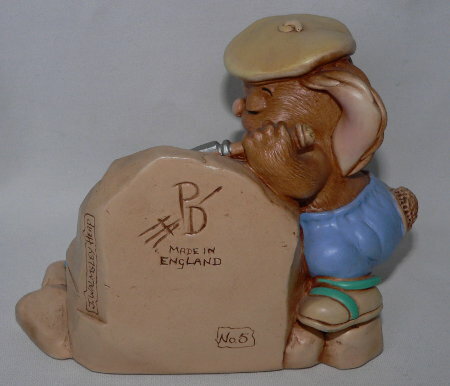 It features a PenDelfin rabbit chipping away at his rock to make his PenDelfin sign! On his base this PenDelfin piece has his green felt and PenDelfin Family Circle Event Piece artist palette label. On its side this PenDelfin rabbit has been signed at a PenDelfin event by PenDelfin worker Jenny 22-11-98. Condition: Excellent overall condition with just a small chip to the underside of the base. A really super PenDelfin event piece.